image via myfixituplife.comThe last Saturday in April is National Rebuilding Day—the one-day rebuilding event where thousands of volunteers and corporate sponsors unite to rehabilitate homes and community facilities in low-income neighborhoods. 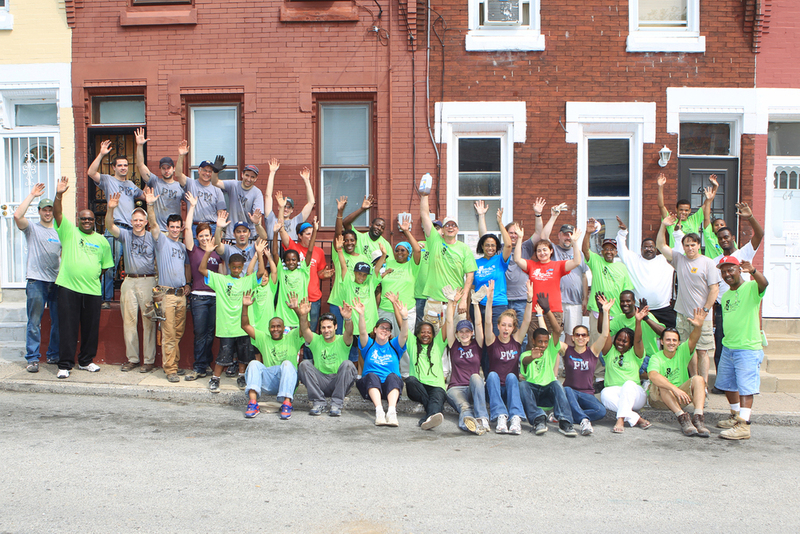 In anticipation of National Rebuilding Day, Rebuilding Together Philadelphia (RTP) - featured in our Feb. ’11 issue - will tackle and complete its Walnut Hill Block Build this Saturday. The build will benefit 21 low-income homeowners who over the past two months, have received critical repairs, energy efficient upgrades, and home modifications, all free of charge. More than 250 RTP volunteers will assist in completing the beautification and repair projects (including storm water management features on many homes) in and around the homes on 50th and Irving Streets. Local UPenn students have dedicated their time, as well as members of organizations including, CREW; Wayne Presbyterian Church; and LEADERSHIP Philadelphia. The work completed by volunteers, working side-by-side with homeowners and RTP staff, runs the gamut: roof/porch/floor/ceiling repairs; new kitchen components; plumbing and electric repairs; replaced bathroom features; new windows; and modifications for those with disabilities. Whenever possible, RTP is sure to make repairs that not only improve the safety of homes, but also make them more energy and cost efficient. This means, replacing fluorescent light bulbs with CFLs, and ensuring that each home has a functioning heater and sound roof. On top of completing the Block Build on Saturday, RTP will also celebrate assisting its 1,000th homeowner in Philadelphia since the organization’s inception 22 years ago! Plus, the organization has big plans for future rebuilds. They are currently competing in Maxwell House’s “Drops of Good” online voting campaign – if RTP takes home the gold, the organization will score $50,000 to spruce up West Philly’s Community Education Center (a community-based arts and education center). To vote, visit maxwellhouse.com. Polls will be open until June 17th.